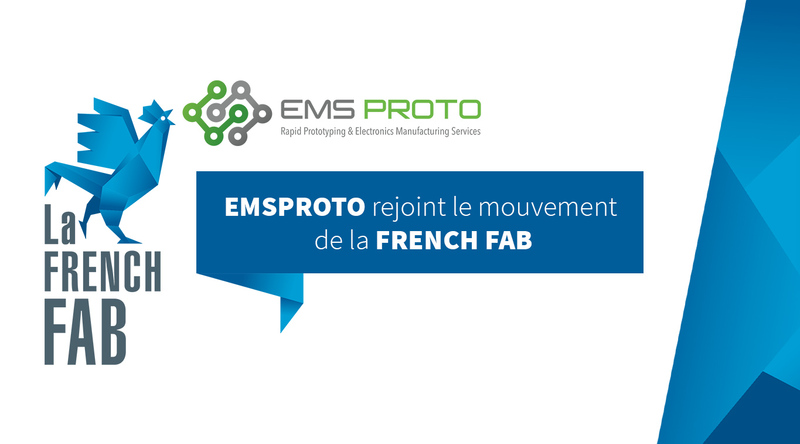 EMSPROTO joins the French Fab movement! After the French Touch and French Tech, BPI France launches French Fab! French Fab refers to the entire French industrial system, from the smallest to the largest companies. The objective is to highlight the ecosystem of French industry. The movement is aimed at all French industrialists like EMSPROTO, eager to network, attract talent and grow internationally. It is based on four key values: growth, internationalization, digitalisation and energy transition. With this goal in mind, of course, our company EMSPROTO joined the movement with a 100% French production, located in the heart of the vineyards in Gironde. Our growth of + 30%, recorded in 2016, allows us to hire 30 new employees by 2020 and the construction of a new production unit of 3000m². French Fab is also focusing on export development, a direction we followed with our online quotation solution. This concept greatly appealed to the European market, particularly in Germany, Italy and the United Kingdom, where sales continue to grow. All these initiatives make EMSPROTO a French Fab’s active representative!